The US Department of Energy (DoE) invited the Portuguese INESC-Porto (Research Institute of Computer Systems) to develop a new and better platform for wind power forecasting. The project will enable to estimate with high accuracy and less uncertainty the production of wind energy for timelines up to 72 hours (short-term forecasts). 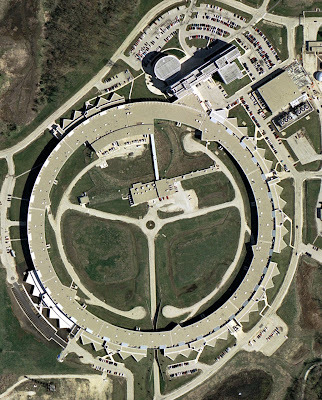 The work is for ANL (Argonne National Laboratory), from the network of Laboratories of the DoE. It began in December and it will extend up to September 2010, seeking to reduce the current forecasts margin of error of around 20 % to about 15 %, according to Vladimiro Miranda, Director of INESC and coordinator of this project. It is a tool that can "minimize the potential risks of the increasing US dependence on renewable energies: blackouts." "The work that we will develop will add new features to the models that we have today. What we pledge to do for ANL was a different and more intelligent model. Something different and better than the actual," told the director of INESC, adding that the current wind power forecasting tools already have an anticipation of three days. The challenge now is to reduce the margin of error and do an upgrade of these instruments. By the end of this year the INESC will develop a prototype and will go to comparative tests with real data. With a climate that ranges between temperate and subtropical and given the local geography, the errors in predicting the wind, second Vladimiro Miranda, can have more serious consequences in the US than in any European country . Thus, the model designed by the Portuguese team of researchers will be used in the unstable US territory to prevent possible power cuts. "Prevention has to do with the need to forecast accurately," notes Miranda. The Project coordinator emphasizes that planning is more important in the US, where there is no hydroelectric alternative (as exists in the Iberian Peninsula, for example) and where, in an emergency due to a failure of a thermal power plant, wind power can be activated in some hours and a nuclear can take days. "It is expected that the more accurate estimate of the amount of wind in a given location will have a considerable impact on the North American electricity industry, allowing lower price of wind energy in the US. The Horizon Wind Energy, owned by EDP Renováveis, the 4th largest wind energy producer in the world, whose presence in the US is increasingly strong, was invited by ANL (Argonne National Laboratory) to be an observer and a potential provider of real data, " said a press note from INESC. Despite the low position in the international context with a percentage of production of only 1 %, the US have the faster pace in the development of wind power around the world. Portugal is one of the leaders in this area, occupying the 3rd place (behind Denmark and Spain) in the world ranking of wind energy with a production of about 10 %. According to Vladimiro Miranda, that means one in every ten hours of energy we spend comes from the wind, adding that INESC collaborates in a project to ensure the supply security in the Iberian Peninsula by 2025. However, despite only reserving 1 % of the energy production for wind, the US already has more capacity than Portugal in terms of absolute values. Therefore, Portugal will export to the U.S. some of the knowledge acquired in this field. "In the field of wind energy Europe is about ten or twelve years ahead of the U.S.," notes the project coordinator of INESC. Well yes EDP Renováveis (sub-company of the Electricity of Portugal based in Madrid and dedicated just to Renewable Energies) has a considerable know-how, as they run 65 wind-power plants in Spain, around 48 in Portugal, some 18 in France, etc. and by now, through Horizon, still only 14 in the US... but the US has a tremendous potential in terms of renewable energies, and if we can help its development in this area of green energies, that's great. Another field in which we can collaborate with them is undoubtfully solar energy and ocean waves energy. Cooperation in constructive areas can only bring global well-being, it's time for all our governments to understand that. The very northern-european hypocrisy of criticizing the US citizens as "uncultured idiots" but then making million-dollar deals with US-based companies and profit obscenely with their uncultured citizens (many times through not so loudable nor ethical industries) is also very dispensable right now, and not constructive at all in terms of these foreign relations. This is of course a problem inside Europe as well, as often not only Americans, South-Americans or Africans, but also Southern Europeans are seen as "uncultured idiots" too.